Film editors, true workers in the shadows, away from the glittering spotlights, exercise nonetheless an «art specific to films». 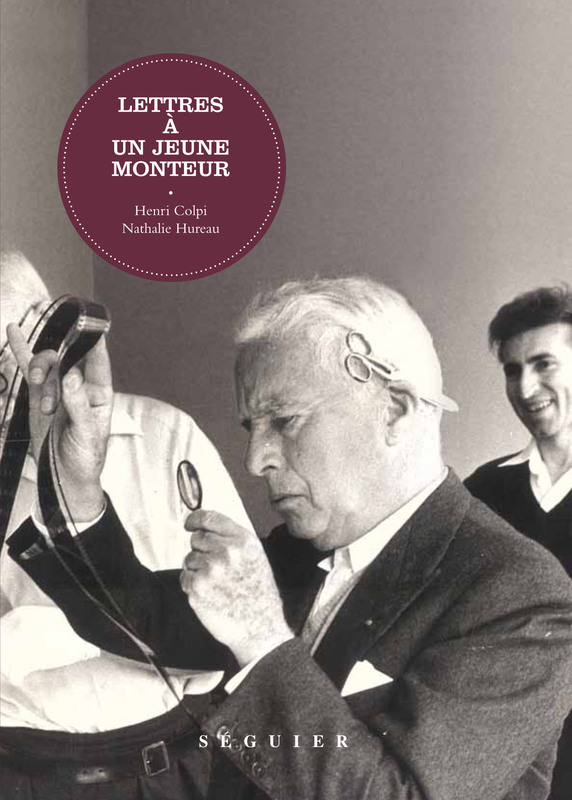 In these «Letters to a young editor», Henri Colpi gives an account of the evolution of the cinematographic language, from silent films to the revolution of sound films and to the most recent techniques of the cinematographic image. He insists on the necessity of a good complementarity between the filmmaker and his editor, often united in the creative process through their complicity, so they share a solid long-term relationship. As he was both, Henri Colpi was the ideal companion to reveal to the reader the art of undertaking editing, as well as from the filmmaker's point of view as the editor's. This book is not just a form of expression of his passion or of a life's experience, it also offers a thinking on the meaning and the impact images can have. Born in Switzerland in 1921, Henri Colpi was a part of the French new wave. As an accomplished insider of cinema, he has been a prestigious editor (Hiroshima, mon amour, Last Year in Marienbad, The Mystery of Picasso, A King in New-York, Destroy, She Said), an important historian of films, writer of two comprehensive books (Le Cinéma et ses hommes and Défense et illustration de la musique dans le film) and finally a talented filmmaker awarded for his first feature film, The Long Absence, with the Cannes Film Festival Palme d'or in 1961. He has also taught for a long time at the INSAS (Institut national supérieur des arts du spectacle et des techniques de diffusion) in Brussels. Nathalie Hureau learnt editing with Henri Colpi. She now teaches how cinematographic language tell stories with images.  Henri Colpi, Chaplin's editor, gives keys and insights on his work, the film industry and what makes a good editor.